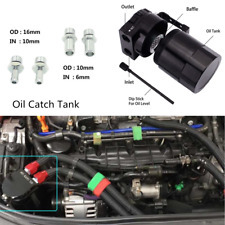 CNC Aluminum Baffled Car Oil Catch Tank Can Reservoir Universal Oil Catch Tank Cans. Universal oil catch tank Made out of T6061 Aircraft Lightweight. 1x Oil Catch Tank. However it's Universal Oil Catch Tank. 1 x Oil Catch Can. Applicable models: universal. Material: aluminum. Color: Black. We will send you a new one after receiving the defective item. We will try our best to make you satisfy. We will do our best to solve the problem. 200pcs Engine Oil Drain Plug Copper Crush Washer Seal O-Ring Gasket 9 Sizes Box. 200pcs M5-M14 Solid Copper Washers Professional Hardware Accessories Flat Ring Sump Plug Oil Seal Gasket Assorted Set. 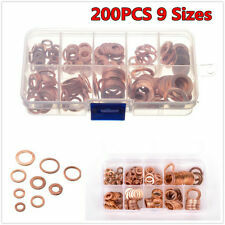 200pcs solid copper sump plug washer set. 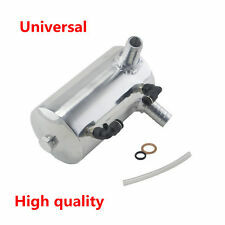 Universal Racing Baffled Aluminum 2-port Oil Catch Can Tank Air-oil Separator. 2-Port Baffled Aluminum Oil Catch Can Tank Air Oil Separator. An oil catch tank is used for turbo applications, or high-performance racing applications where excessive blow-by (leakage past the piston rings) of air and fuel vapor occurs. 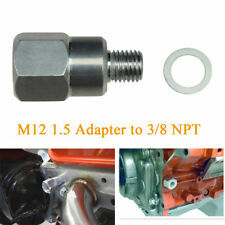 0.5L Car Engine Modified Oil Catch Tank Breather Reservoir Can Aluminum. 1x Silver Oil Breather Reservoir Tank. Material:Brushed Aluminum. Color: Silver. :76mm/2.99”. It is durable and convenient. Universal oil catch tank Made out of T6061 Aircraft Lightweight. 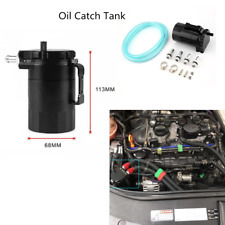 1x Oil Catch Tank. Internal baffle DUAL chamber filter catch. The catch can will keep out the Dirt And Oil Get Inside Your Engine from your intake system. Black Car Truck Racing Baffled Aluminum 3-Port Oil Catch Tank/Air-Oil Separator. Racing baffled 3-port oil catch can/tank/air-oil separator. 1x Oil Catch Tank. Internal air diverter turbulates air longer to improve oil separation. NEW RACING BAFFLED 3-PORT OIL CATCH CAN / TANK / AIR-OIL SEPARATOR. 1x Oil Catch Tank. Make(s): Universal. Model(s):Universal. Internal air diverter turbulates air longer to improve oil separation. 100% billet 6061 aluminum sealed can. 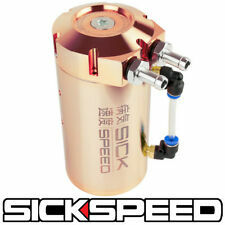 NEW RACING BAFFLED 3-PORT OIL CATCH CAN / TANK / AIR-OIL SEPARATOR. 1x Oil Catch Tank. Internal air diverter turbulates air longer to improve oil separation. 100% billet 6061 aluminum sealed can. Oil Capacity:2 fluid ounces. One End is Universal Banana Plug and another End is Hook & Needle to Where Need to Test. We will reply you within 24- 48 hours. IT WILL HELP TO KEEP THE MOTOR OIL CLEAN AND PROLONG THE LIFE OF THE ENGINE. A EASY AND SIMPLE WAY TO MAINTAIN THE CONDITION OF YOUR VEHICLES. INSTRUCTION- SIMPLY REMOVE THE OEM DRAIN PLUG AND REPLACE IT WITH THE TC SPORTLINE MAGNETIC OIL DRAIN PLUG. This maintains optimum cleanliness in engine oil circulation. 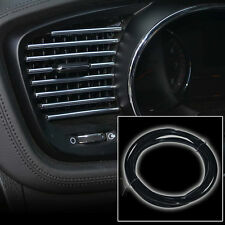 The embedded design is to ensure that the magnet will not drop into the engine oil. It is made from 6061 high grade aluminum, 5000 Gauss magnet and anodized finish for extra corrosion resistance. Trending at $25.12eBay determines this price through a machine learned model of the product's sale prices within the last 90 days. Nissan 300zx 1984-1987 VG30; VG30T. Nissan Pathfinder 1987-2003 VG30E; VG30I; VG33E. Nissan Hardbody 1986-1997 VG30; VG30E. Nissan 200sx 1986-1988 VG30E. Nissan Maxima 1985-1994 VG30E. Nissan Quest 1993-2003 VG30E; VG33E. 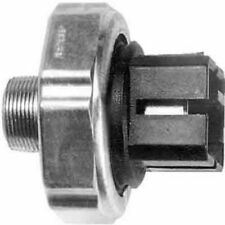 A bad or malfunctioning crank sensor will often cause a service engine light error code and or cause a no start condition or rough running due to inaccurate ignition and fuel timing. 1997-2000 Infiniti QX4 3.3L 3275CC V6 GAS SOHC. 1X Oil Catch Tank as Pictures. Universal for most cars. Defends intercooler, intake system, and essential components from oil blow-by. 100% billet 6061 aluminum sealed can. Internal air diverter turbulates air longer to improve oil separation. 1997-2000 Infiniti QX4. 1996-2003 Nissan Pathfinder. Compatibility table is for reference only, check with the OE# and pictures above. Use for the Following Vehicles. 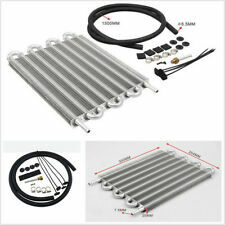 Universal Aluminum Oil Reservoir Catch Can Tank Internal Breather Foam Air Flow Gauge. CNC Machined From AL6061-T6 Billet Aluminum With An Anodized Finish. Can Be Disassembled For Cleaning And Emptying Of Materials Captured Inside The Catch Can Tank. FITMENT: Item is Universal (Fits Most Diameters Approximately 50mm - 90mm Diameter) DESCRIPTION: Color: Black Size: 80mm X 70mm Perfect Fit & No Modification Easy Installation Brand New & Never Been Used Prevent All Engine Fluids from Spilling During Hard Braking Package Includes: Reservoir Oil Tank Cover x2 Manufacturer Part Number Does Not Apply Brand Unbranded. Just wipe off this black gunk, replace the sealing washer with new washer and re-install your magnetic drain plug back into your oil pan. Do this during every oil change and you can continue to have the maximum protection for your engine! This is a USED OEM Shift Interlock Cable removed from a 1997 Infinity QX4. It is in good working condition with no frays or kinks. It should work properly when installed again. The item in the picture is what you will actually receive. Universal Aluminum Oil Reservoir Catch Can Tank Internal Breather Foam Air Flow Gauge. Internal Breather Foam Allowing Clean Air To Help Circulation Inside The Tank During Operations. Clear Tube Level Indicator For Easy Visual Checking Of Tank Capacity.